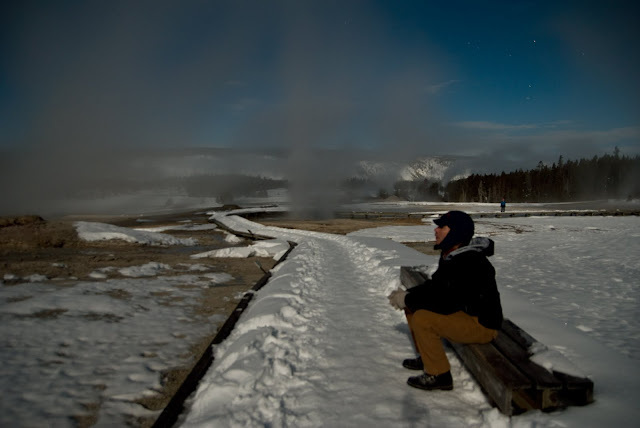 The days wear on here in Yellowstone, but I have no less excitement and appreciation for being here than when I started. I don't even want to take a day off, as I fear I might miss a wild, inspiring event. Today, however, I took the day off. After sleeping in (which was only a half an hour longer than my usual wake up time of 6:45am), I headed to West Yellowstone to keep my life in order (ie getting online [ie getting on facebook, blogging, etc.]). Thus, this post. Last weekend, the Depperschmidt parental units and friends loaded into an old, yellow snowcoach and traversed their way up the Madison and Firehole drainages to Old Faithful. On their way, they spotted a pack of eight wolves, which, unbeknownst to the wolf researchers (Megan and me), had suddenly shown up in the study area. With much determination, I interrogated Jack and Caroline, demanding all information and photographs for corroborative evidence. And sure enough, for the next five days, the Who pack (as we have termed them), continued to ravage the elk in the Madison. 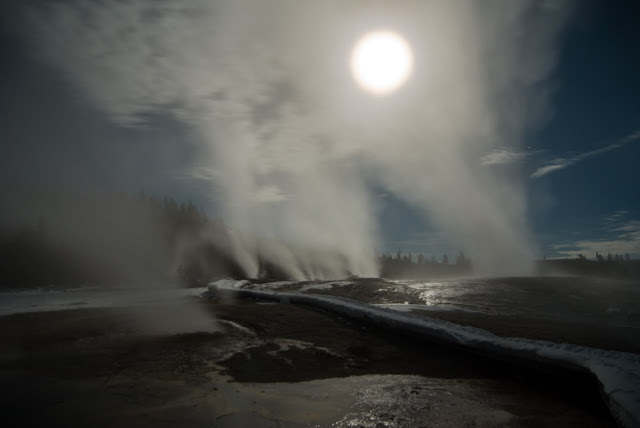 On Saturday night, the Depperschmidts treated me to a superb meal at the Lodge, followed by one of the most magical moments I have seen in Yellowstone. After gorging ourselves and waddling away, much like wolves after an elk feast, we wandered out into the Old Faithful Geyser Basin. 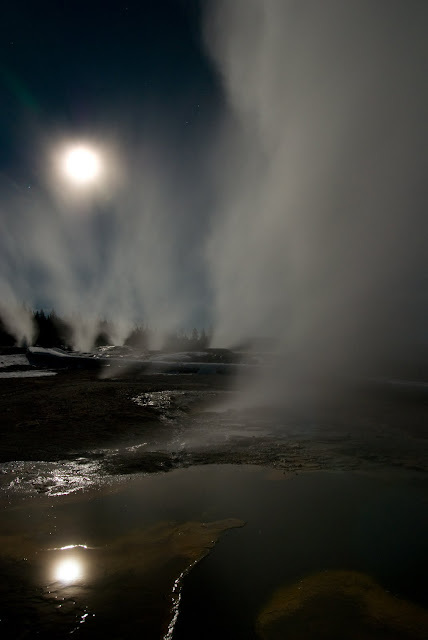 The full moon threw new contrasts across the steamy geyser basin. 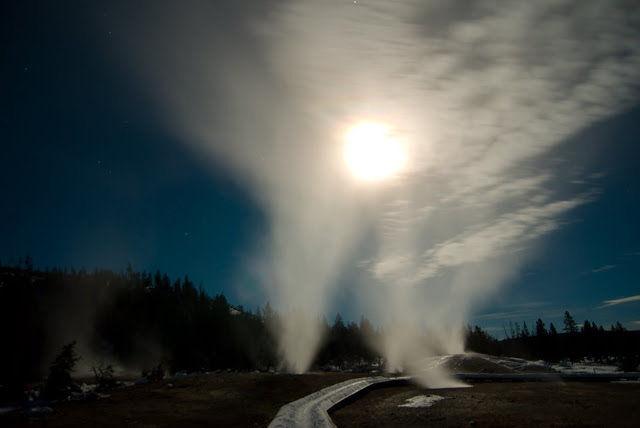 Old Faithful geyser erupted, the moonlight exemplifying its famous glory. 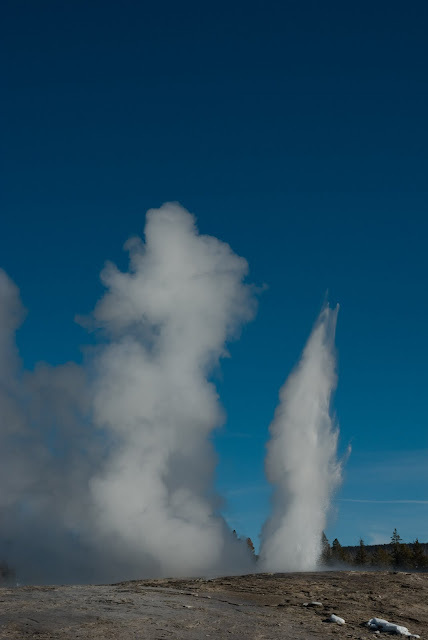 Our destination was not Old Faithful geyser, however, and we trotted on down the snowy boardwalk to Giantess Geyser. 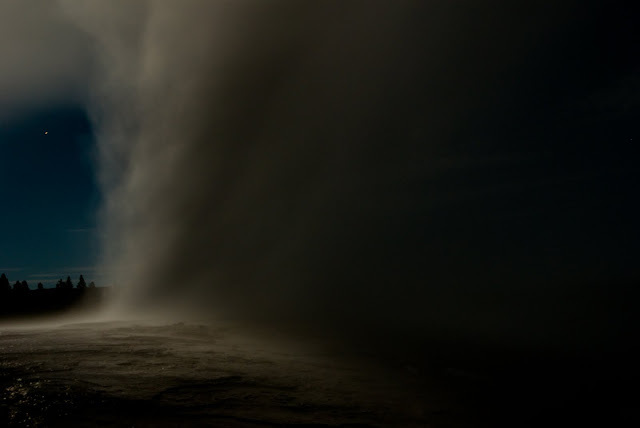 Only erupting three times a year, it had begun bellowing and spewing in mid-afternoon that day. 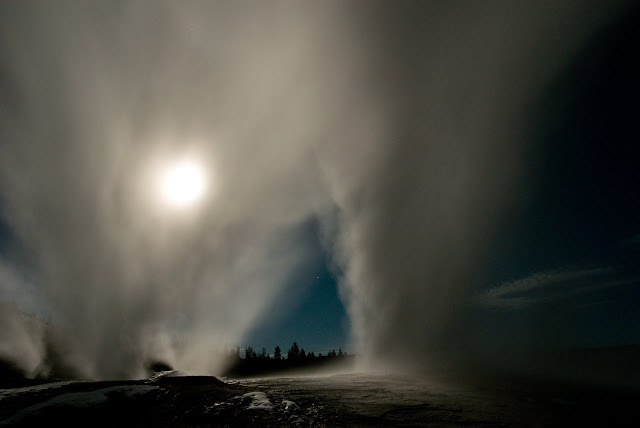 Deep booms and jets of water powered into the sky, releasing billows of steam and smatters of geyser rain. Though not terribly high, the erupting Giantess crowned by a radiant moon was enough to elicit much praise from the small handful of lucky gazers. The pictures are fantastic. Thank you so much for sharing. Obviously it needs to be a new life goal of mine to see Giantess erupt--are the eruptions predictable?